USB Bus Powered. Fully compliant with PS/2 keyboard / mouse. Supports USB and PS2. Plug & Play. Supports two PS2 keyboards or two PS2 Mouse (2 P Model). Supports Standard windows multimedia keys. 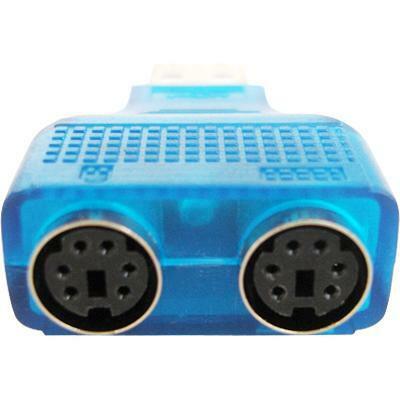 Connector Details: 1 x 4-pin Type A Male USB 2.0; 2 x 6-pin PS/2 Male.